Hon. Spencer Brand, Minister responsible for Water Services on Nevis explains amnesty program for overdue water bills. CHARLESTOWN, Nevis — Domestic and commercial customers of the Nevis Water Department whose accounts are in arrears for the past three months, are urged to take advantage of a four-month amnesty offered by the Nevis Island Administration (NIA) from Jan. 1 to April 30. Hon. 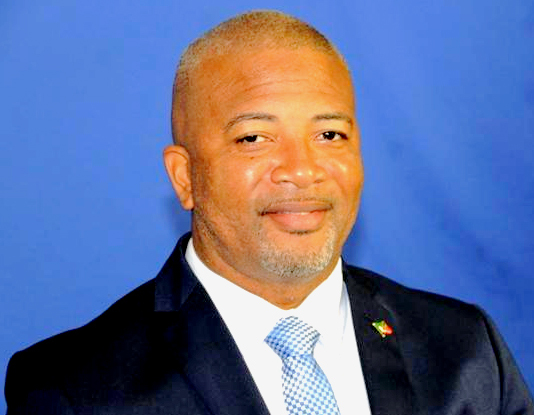 Spencer Brand, Minister responsible for Water Services on Nevis, made the appeal at a recent sitting of the Nevis Island Assembly, while announcing the administration’s goodwill gesture to help collect $2.7 million owed to the department for water sales. The amnesty, which does not denote disconnections, applies to customers who are in arrears for three months and over. However, a rigorous disconnection programme for non-payment of bills will begin soon after the amnesty. Brand explained the outstanding money could assist the NIA in its water expansion project on the island. He also used the opportunity to speak about revenue collections generated by water sales on the island for most of 2017. “Between January to October 2017, the water [billing] sales on the island of Nevis amounted to $4,129,881 and out of that, the water sales alone was just about $4 million. “In the same period from January to October, after we would have implemented the 30 percent increase…we would have seen an increase in the collection at the [Nevis] Water Department of $4,894,461, representing a 16 percent increase,” he said. Brand also used the opportunity to commend customers for readily embracing the increase instituted to help enhance the island’s water services.